Dimensions 14.17" x 5.51" x 1.29"
Its a great keyboard. Its built like a tank, isn't too loud, and has enough weight to stay put on my desk. With Cherry MX clears its a pleasure to type on, even at work. I have pretty small hands, so this feels much more comfortable than the tenkeyless I was using. I used the DIP switch on the bottom to swap the left alt and windows key to work better with my mac. I would love it if I could switch the alt and window keycaps like I did on my Das Keyboard, but they are different sizes (its ok I'll survive). I highly recommend this keyboard. 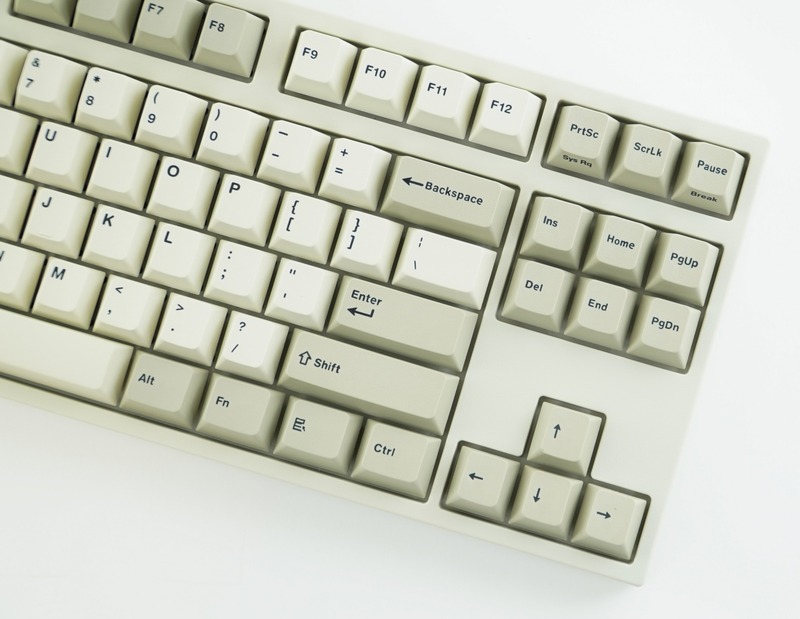 I recently dug out my old Fujitsu quasi-mechanical keyboard from the 90's. It was a beast of a keyboard but it worked well, and more importantly it inspired me to find a modern mechanical keyboard with a retro look. As an accountant by profession I really wanted to get a fullsized keyboard. 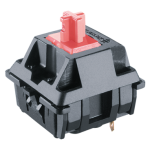 Ultimately I decided that I didn't want the seat/keyboard/monitor offset that comes with a fullsize keyboard, so I went with a tenkeyless and separate numpad. I'm also a bit OCD when it comes to shiny keys so I wanted PBT double shot keys too. I came across the Leopold FC750R based on a recommendation and it ticked all the boxes for me. From what I read, Leopold had a solid reputation as a premium mechanical keyboard manufacturer and I also loved the two toned white option. I had to wait 3 months to get this keyboard because it was on backorder. I have to admit I thought about cancelling the order a few times after ETA's got pushed back on more than one occasion, but after typing on this keyboard I am so glad that I waited it out. The first thing you notice taking it out of the box is the hefty weight and rigidness of the frame/case, I don't feel any flex or creaky plastics whatsoever. Next is the beauty of the keyboard! I didn't see many images/videos/reviews of the two toned white variant but I knew right away I wanted and I was not disappointed. The Cherry Mx Brown keys feel crisp with a solid tactile feel (without being clicky) and the force required for key press is perfect for typing. Out of the box the PBT keys have a nice texture feel and time will tell if it will resist the dreaded shine from regular use. My only complaint has to do with the USB cable and inset input under the keyboard. You have the option to run the cable out the left, middle, or right of the keyboard by running the cable through a guided channel, however this restricts the ability to use a thicker braided or coiled cable as the channel is fairly narrow. The included USB cable looks and feels a bit out of place with this premium keyboard. It also doesn't match the keyboard as it bright white whereas the keyboard is an off-white color. Just received this keyboard with Silent Red switches a few days ago. 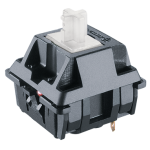 Bought it to replace my VA68Mg at work due to the magnesium alloy board getting shorted one too many times during the winter thanks to a fully carpeted office floor. Having said that, this board is phenomenal! Very solid build for a plastic board - doesn't bend at all, and is satisfyingly heavy without being metal. These silent reds have a satisfying thunk to them, and there's little to no ping whatsoever from use. Keycaps are excellent quality and feel good to type on. The board as a whole is excellent. 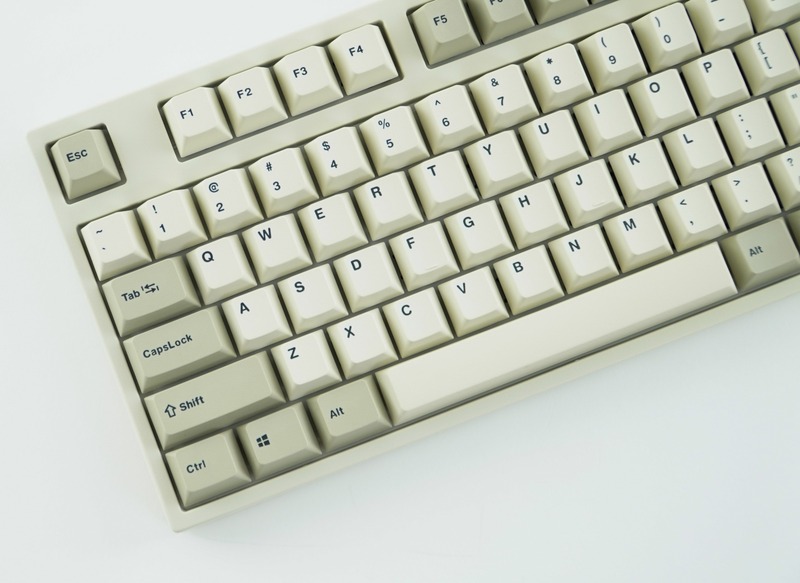 Highly recommended for anyone looking for a classic, high quality mechanical keyboard. 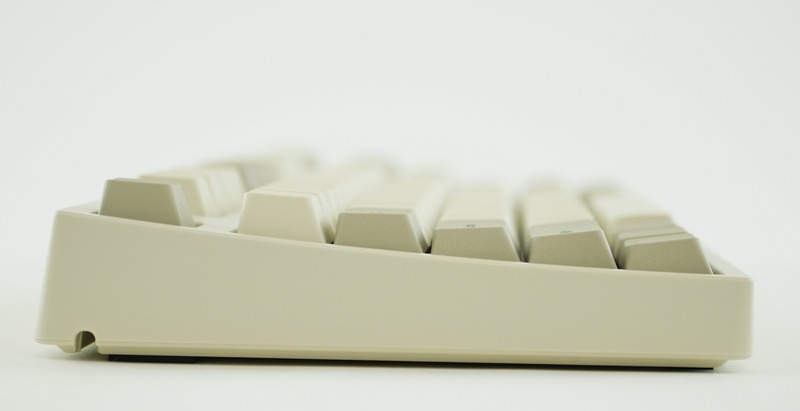 DO NOTE: The color provided in the sample image above leans a bit towards grey and off-white, but the actual keyboard is very much two shades of beige. Make sure you're cool with a board that looks decidedly old school before considering a purchase. This keyboard is fabulous and well constructed. Fantastic stuff. I should note that the key are lower profile than the standard cherry. But I like that. I wanted something simple. To get away from all the RGB, the extra macro keys, the lighting levels - I wanted something simple, sleek, and functional for gaming. I've owned a Blackwidow 2014 Ultimate with the Razer Green switches, a K70 with the Cherry MX Red switches, and a Strafe RGB with the Cherry MX Brown switches. As someone who wanted to get into Youtube gaming and Twitch streaming, I decided I wanted a keyboard that wouldn't be easily heard over my microphone - a "recommendation" of sorts from John "Totalbiscuit" Bain who, in his Obligatory Office Tour video, showed off his Tt Sport Cherry MX Black keyboard (while explaining that he was waiting on a new board from WASD Keyboards), saying that it was a much quieter mechanical hard to pick up on the mike. After some browsing, I found that this keyboard fit my needs perfectly and jumped immediately on the chance to own one. I really, really do not regret the purchase one bit. I can't give more of a glowing recommendation for this keyboard. It feels insanely satisfying to type on - even better than the Brown switches (in my opinion, anyway). It's tough getting used to a keyboard without a number pad, but I'll get over it eventually. The build quality is solid, sturdy, and it has some really good weight to it. I kind of wish that the producers of it had the foresight to create an English guide, but considering my mother's Korean I'll have to make do with her translating as much of it as possible. If you're looking into getting a Tenkeyless board and have no idea where to start for something that isn't Corsair or any of the other major brands, Leopold is definitely a great place to look.